Facebook has made interesting in-roads into our social lives, as it was designed to do. But it has also snuck into the space beyond the social networking. Now for example, first, second and third parties can watch on as relationships begin and end. Where once on termination, a person might not have seen the former significant other for some time and cut off all contact, now they can monitor the other’s fall out or recovery at a distance (unless they have blocked them, a move which nearly merits its own post). Facebook stalking…the new, unpleasant way to end a relationship. I can’t imagine this is conducive to the idea of closure, but it does seem to be a fact of our modern lives. I started thinking about this when a friend, who lived far away, suddenly died. I learned of this person’s death through Facebook.1 Someone had put up a post starting with “rest in peace…” I remember a panicked search for information. I could confirm the death but not the full circumstances. I remember in the first few days being struck by how affected I was by her death, though I could not say I knew her well. Perhaps it was because I was expecting her to visit in the following months, and she had been on my mind more than usual. I had been looking forward to her visit, and a mental itinerary had been forming of things I thought she would like to do. But it was something more than that. It seemed to be this concurrent dearth and yet overload of information. I could see this very public grieving and yet not know the full cause of her death, and I felt that I could not ask. This open showing of emotion remains somewhat missing in Irish context – in “real life” – but on the web, and on Facebook, it is growing. Now I hear other friends say they find it strange to see status updates addressing persons no longer living, persons who might never have heard of Facebook. Generally in Ireland, there is thought to be a growing democratisation of the funeral process, possibly as the population moves away from the ethos of the Catholic Church. Where previously, a family might have had little or no input as to aspects of the proceedings, now there seems to be more choice. Decisions about music, types of coffins, locations for burial or cremation can now be part of the process. And a more active input, if possible, in the proceedings is probably healthy. There is a powerlessness, an impotence that death brings with it, whose remedy might begin with the burial process. It does not appeal to everyone however and many families take comfort in not having to deal with the formalities of an Irish funeral in the first private throes of grief. And yet, what did we expect them to do? We don’t give our young people the framework to discuss or deal with death, because we are so busy ignoring it ourselves. A couple of years ago, the grandmother of a friend of mine passed away. Six weeks later, we were picnicking in my garden and she slipped the news into conversation. I almost missed it. When I questioned her on it, she told me she didn’t know how to tell any of us. She watched as her mother and aunt made phone-calls delivering the sad news to family and friends. She realised that her vehicles for sharing news had become Facebook and Twitter and yet, she had no desire to put such a personal story on her time-line. Perhaps we are part of an age-group trapped between land-line telephones and handwritten letters and social media. We started with the old-reliables but now they are being eaten away by instant communication.2 I don’t mind people knowing if I’m in a relationship (or not) on Facebook or Twitter but I certainly don’t want to share with them the beginning or the end. Our more youthful compatriots adopted these media at younger ages – they share parts of themselves that we, at least in sobriety, cannot. We consider them daft or vulgar or imagine that they do not understand the reach and permanence of the internet. I think we give them too little credit. When teenagers share moments like funeral selfies adorned with sad smileys, some are communicating their grief as best they know how. If we don’t want them to do this, then we have to teach them another way, rather than shutting down those responses because their manner shocks us. Grief is shocking. And when it is restricted, it will find its way out in stranger, more violent vectors. Right now, I think the funeral selfies, though they go against my ideas of common decency, could be a damn sight healthier than anything I ever learned about grief. But to return to my late friend on Facebook. The page slowly fills with posts not about her, but addressed directly to her. Her close friends and family continue to do so as the months pass, lamenting her absence or recounting a memory. She is tagged at events with others. Through this space, it is almost as if she continues to live a full social life. I was surprised by this initially, and thought as an Irish “emotional alien” that this must have something to do with her nationality. But it does happen here. Weeks ago, someone I did not know personally posted an image of themselves and two lonely words on Facebook and shortly afterwards took their own life. That post remains on the page, but edges slowly out of sight, their last cry to the world answered only by compliments and platitudes, reminiscences and farewells. For me, my first experience of the role of Facebook in the death of a friend was strange. There was a compulsion to join in this online grieving, and I am certain that her death affected me more than it would have, had there been no Facebook. I probably would not have heard about it until an email I received weeks later. And I would not have borne witness to this sort of online wake. I would have assumed that she was loved – she was a lovely, bright intelligent person, but I would never have known the extent to which her light touched the lives of others, and how dark the world first seemed to them with her loss. Nor could I have seen how, as they continue to include her in their lives, they take the positive with them – that she was here all too briefly but that we were lucky to have known her in that time. 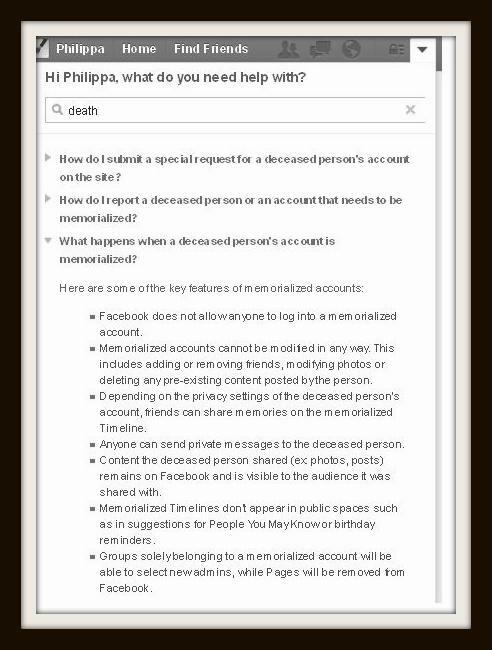 So while I see Facebook’s interaction with our personal relationships as unsettling, might something be said for it in the case of death? Could Facebook be teaching us how to grieve? Much of our time in heritage-related work, that could be devoted to research, study, outreach etc. is currently devoted to finding money. This problem is not limited to Ireland, but in a country where we are closing A & E units, and increasing costs, taxes and the like, on what seems like a daily basis, neither the government nor the public are interested in diverting funds towards heritage. Naturally, those of us in the heritage industry feel somewhat aggrieved, while at the same time hoping that monies which might have come our way in the past are being better directed towards health and education. Part of our frustration however lies in the realisation that Ireland could supplement its income through tourism, which would benefit greatly from the nurturing of the heritage industry. I digress. This devotion to the pursuit of money, mostly in order to keep people in jobs, leaves us wondering: how do we entice people towards supporting their heritage? While this may seem cynical, it has a practical benefit in terms of outreach – it is teaching us to communicate our research and people’s own heritage to them, which is what we should be doing, particularly if we work for organisations funded by the public purse. So what makes heritage attractive to the public? What draws in a person, that might otherwise have no interest in their local landscape, history or archaeology? There is an assumption, for example, that Americans of Irish descent will have an interest in the communities from whence their ancestors came, and those ancestors themselves. If the migration was during the famine, their interests might widen to the famine itself, and perhaps the workhouses and the related history. If this is not the case, they may have an interest in the general history and archaeology of Ireland, but again, they may not. From what I have seen, for many people, history and archaeology are interesting only if they can find a point within them, to which they can relate their own story. Often, the interest lies more in genealogy than a wider, more general history. So they tend to want to trace back their family tree, or find the homestead of the generations ago. It is more difficult then, to draw a person’s attention to something where they might find no common ground. What is it that might grab the public’s attention? The excavation of the supposed Richard III was illuminating in the public interest that it generated. For me it seemed almost silly, this hype over discovering a body and using various methods to establish personhood, but I suppose we talk about these things so often, we almost assume that they are common knowledge. And so while parts of me were sceptical about this study, and in particular the nature of the excavation, it brought the public deeper into our sometimes exclusive sphere, and that is a good thing. It’s just a pity that it took a king to do it! So when I saw this article on the Romeo and Juliet couple, it again made me think of how we present heritage to the public and how the interest that certain discoveries generates reflects back on us. Ooooh! Already I want to know what going on! I’m picturing some Braveheart/Shakespeare melange fronted by that Blackadder man! 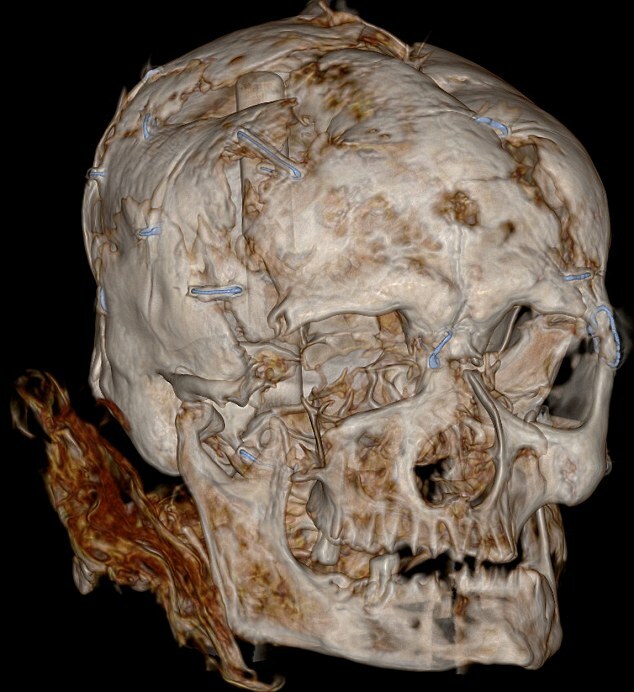 Interestingly, there is no image of the excavation or the remains with the original article, which given our ever-increasing reliance on visuals, shows how strong the title was, that the story still generated such interest. 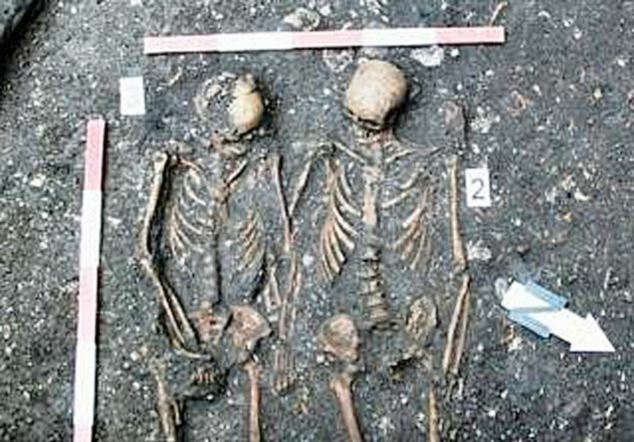 “Archeologists investigating the site of a former Dominican monastery in Cluj have uncovered a remarkable tale of love, preserved in the bones of a medieval grave. Two skeletons, of a young man and a woman, were found clearly buried together with their hands clasped for eternity. Let me assure the recently dumped that there are myriad other ways for a person to die that won’t leave traces on the skeleton and death from a broken heart is a decidedly rare medical occurrence. The last quoted sentence is a a bit of porky pie. There may be translation issues of course, it has not been easy to trace original Romanian texts on the excavation (I may not have tried hard enough). For example, the death of the male is attributed in one source to BFT to the sternum, while in another to the hip. And the images that turned up on the Daily Mail, may be of the excavation, (similar pipes on show in a video from Huffpost) but the sources are not cited and they do not turn up elsewhere. Furthermore, they don’t necessarily match the description of two skeletons facing one another, even with taphonomic changes taken into account – either the images or the description are wrong or misleading. Mummies Reveal Ancient Egyptians Wore WHAT On Their Toes? “The new hot media trend is “outing” 5,000-year-old skeletons from the apparent sexual confusion of their caves. But does the story of the so-called “Gay Caveman” hold up?” Unfortunately, the video no longer seems available for this one. The Joe Soaps of archaeology rarely, if ever, make the headlines. Secondly, the Romanian Romeo & Juliet story displays how far an archaeological team is willing to go to draw the public’s attention, or at the very least, it shows that archaeologists are also susceptible to the odd sensationalist notion. Turning around and sharing their Romeo and Juliet idea with the public, to me, is questionable. Furthermore, suggesting that the female suffered a heart attack, and that there is no alternative explanation for her death is highly questionable. But, archaeologists and perhaps historians (though I imagine they have less room for manoeuvre) are often guilty of this. We don’t give the public the credit that they deserve; we assume that they will only be capable of processing one line of theory, and often we go on to present such theories as fact. Most of our work is interpretation or supposition. I understand completely how trying to convey the seven ideas that we may have on one event can be tongue-twistingly confusing and frustrating for both presenter and listener, but neglecting to mention that the favoured theory is theory only, is in my mind the equivalent of telling a lie. It seems that we are unable to generate a sustained, long-term concern for our archaeology and history. I feel that we are trapped by an ability to only create fireworks, to grab the attention short-term, to remind the public of the existence of our shared heritage temporarily, and hope that the more we do it, eventually something might stick. Heritage is hidden in plain sight. It is all around us, our museums are drowning under the weight of it, our country even is often held fast in bad ideology by it and yet to most people it is invisible. Why? Is it somehow unrelatable? Occasionally one sees celebrities on these genealogy shows crying because their great, great, great, great grand-uncle suffered some indignity and they are suddenly emotionally connected with a person to whom they might previously have never given a moment’s thought. I suppose in a way our struggle is similar to those of charities, to make the starving and suffering more human (as opposed to a 2D image), so that we will want to share our money (back to money) with them. Perhaps this is why it is more difficult to make a martyr out of hill than a skeleton. We can’t really relate to fields. Unless of course it is The Field. Or a field or landscape to which we can tie ourselves or our family. Sometimes, if a site is lucky, it might find itself written into the origin myth of a people or find significance simply by being named in a tale. Otherwise it is an inanimate object or place, something behind a ditch, that we vaguely register as we drive past. Until we find a way to make heritage as emotive as something like soccer, we will remain reliant on Richards and Romeos to save our heritage and share it with the public. ‘Stiff ‘ was recommended by a friend when I was taking my death-centric MAHO. We talked about death all the time, at every break, and in the pub. Colleagues and family members would look on in silence while we couldn’t get enough of death. We could take or leave the cadavers however. I think we all looked forward to the anatomy module, I certainly did, but we were not prepared for the smell first thing on a Monday morning. It would mean that for the next five weeks or so, no-one would consider going out on a Sunday night, and most would not eat breakfast until after the module. On the first day in the lab, we donned the lab coats and the latex gloves. We were warned that we should dress appropriately; sandals would neither be welcome nor advisable. We were then asked to show respect to the cadavers, as the remains had been donated in the interests of education and science. Should we wish to donate, forms were available. On that first morning, the remains were covered while the head technician welcomed us. This was probably to keep our attention focused on him, while he went through the rules. Still, hands and feet poked out at us from beneath the sheets. For our module, which was actually for first year anatomy students, the cadavers had already been sectioned. We were therefore confronted only by individual limbs, headed (?) trunks or body parts. On occasion, a cadaver would be sectioned on the sagittal plane. I don’t remember seeing a complete cadaver. We might study the hand and arm one week in lectures and see them the following week in the lab. So while the selection of remains was mostly to do with the curriculum, I wonder was there also a reason we never saw a full body. I wonder if it is easier for people to reckon with a limb rather than an entire body. (Although, most wouldn’t go as far as touch a one; I became known as ‘the butcher’, because it didn’t bother me too much to turn over the cadaverous limbs.) Some osteologists have no issue handling bones, but dislike working with teeth because it reminds them too much of the person. Perhaps handling human remains involves some re-working of the ideas of life, death and the body you may have held for some time. I have wondered if it is more difficult for those with religious beliefs to reconcile their work with their ideology. Apart from an enhanced knowledge of anatomy, courtesy of these cadavers, I came away with an interest in donation. I hate waste and have been trying to think of an ecological way of disposing of my remains when I no longer need them. I certainly don’t want to have tree felled so that I can be repackaged within it and a number of chemicals for a few hours of show that no-one would like to remember. I see some romance in the idea of cremation and if that’s what family members want, then send me here, please. Ideally whatever serviceable organs would be removed, and then the remains would be carted off to the nearest university. Perhaps a fellow osteologist would like them for a reference collection, although they will have the excuse the condition of my teeth. While I will endeavour to determine the outcome, it will of course be the decision of those I leave behind. If I do write a will, they’re all getting copies of ‘Stiff’. It may be a tasteless bequest to the recently bereaved, but perhaps they’ll dislike me enough at that stage not to care or to comply, and sign away my carcass to science. Should you be recently bereaved, ‘Stiff’ should probably not be on your reading list. Also if you still believe in Santa, Easter bunnies and the ability of the Irish state to self-govern, you’re too young for this one – hold on to that precious innocence while it lasts. Otherwise, if you’re not too squeamish, this is a great antidote to a bad mood. There are even pictures! Not gory pictures. But one for every imaginatively titled chapter, such as ‘A Head is a Terrible Thing to Waste’ and ‘How to Know if You’re Dead’. This morning, Arpad and I are riding in the back of a van being driven by the lovable and agreeable Ron Walli, one of ONRL’s media relations guys. Ron pulls into a row of parking spaces at the far end of the UT Medical Centre lot, labeled G section. On hot summer days, you can always find a parking space in G section, and not just because it’s a longer walk to the hospital. G section is bordered by a tall wooden fence topped with concertina wire, and on the other sides of the fence are the bodies. Arpad steps down from the van. “Smell’s not that bad today,” he says. His “not that bad” has that hollow, over-upbeat tone one hears when spouses back over flowerbeds or home coloring goes awry. I won’t say anything else, in case I spoil it. If you read it, or have read it, let me know what you think! * Following this book, I tried her on ‘The Loved One’ by Evelyn Waugh. More death, and she is probably more worried about my interests but she enjoyed that one. So recently, I had the dubious opportunity of visiting the Work Abroad Expo in Cork. This was perhaps not a place I could have seen myself visiting a few years ago. But then, neither was a Fas course, or a dole queue. A lot of things are happening around here that we did not foresee, or did not want to see. My going there was more of an afterthought. Canada was being sold hard on the news – they had jobs. They wanted me. When relatives asked how the job-hunt was going, I mentioned Canada, and suddenly was off to the expo. I was so unconvinced, I bought the ticket only to force myself to go. I was unaware they had to stop selling on Monday (the day I bought mine) until Tuesday, when I met someone without one. My small enthusiasm was diminished. I woke up on 07:00 on Wednesday, and couldn’t get out of bed. At 09:00, Paschal Sheehy was interviewing people in the queue who had been there since the early hours of the morning, and by half past, I had learned not to bring the car to the hotel. I was so vexed, that when I realised I didn’t have my headphones to keep an ear on the situation via radio, I resorted to twitter. The expo was not that bad for ticket holders. The queue was long, but we were prioritized over the ticketless unfortunates. Once we got through the door, it was not as congested as Dublin, and I managed to talk to some people at the stands and sit in on two talks: one on Quebec, the other on Saskatchewan. Saskatchewan was sold as just like home, but better. Better governance, better decisions, less fantasy banking. Quebec seems like a gleaming research planet on Star Trek, but in French. Both were very attractive. Anyhoo, I was fairly satisfied with my odyssey and while the crowds were underestimated, lessons had been learned at the Dublin expo. Credit where credit is due, I was willing to share this when I came across a tweet by the really lovely journalist Pamela Duncan, looking for someone who had been to the expo. I thought she was looking for comments on how it went. Following an exchange of details, she explained what she actually had in mind. I was a bit embarrassed, having misunderstood, so I endeavoured to answer her questions in an email, and expected that she would respond, politely declining my assistance. As you can see, I have tendency to go on. The email was a little long. But she felt I was a suitable candidate, and took a few quotes from it. Which was nice. Then paralysed with embarrassment, I kept it to myself until it was published. I showed it to my mother and it cheered her up, so it was worth that much. My Dad also got a kick out of it, though he spent some time wondering how I had fabricated an article about myself. Both were visibly disappointed it wouldn’t appear in Time magazine. The Time.com article is here. I have decided that I might as well share the waffley email. If I had been writing it for something like this blog, it would have been heavily edited. As it was going to someone I didn’t know, from whom I never expected to hear again, the filter was turned off and I was just typing. It is just a rushed snapshot of a moment in one person’s life. It is a moment where a decision is being made, but I don’t feel like I’m making it. I always wanted to work and study abroad, I hoped to do it. What has changed is the removal of choice. We have lost many material things in this country and little by little, we are losing our choices. I recently heard of a man, who when he went to pay his mortgage, was told by the bank that he should not be shopping in Tesco as an Aldi was nearby. They had seen a transaction on his statement. The bank is telling him where to get food. They are wading so far into people’s lives, that they dictate on their sources of sustenance. Everyday we are taking more decisions in the absence of choice. Need, obligation or fear decides us. Losing the right and then the ability to choose surely feeds into the myriad other mental stressors our nation is enduring. Even our government is denied this privilege of choice and it is as if we are in the control of absentee landlords once again. At what cost to our psyche? Final comment. I was reading the other day about the INSPIRE programme, which aims at getting more women involved in politics. I always had an interest, more so in my mid-teens before I was disillusioned (saw sense). As the opportunity antenna are constantly extended at the moment, I thought about it briefly. But who would I represent? My demographic is gone. I would have to run my campaign in Saskatchewan. Here is the promised text, warts and all. If you’re still reading, you’ve earned it. I have only taken out one sentence about family members which they may have considered too personal, indicated by the ellipsis in brackets. Thanks for your email. Just to give you an idea of where I am at the moment. I have only started to consider emigration recently. 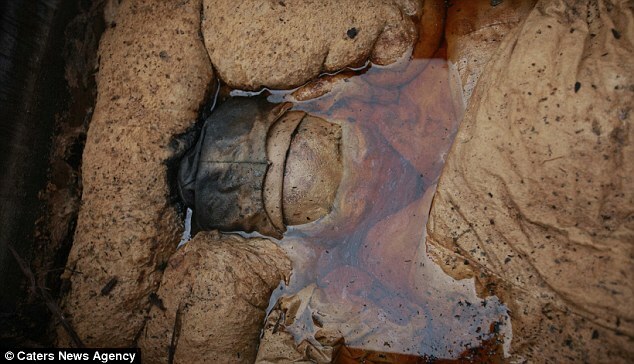 I have been working in commercial archaeology since I completed my masters in human osteology in October 2010. I started in law, so by the time I reached archaeology, I had missed the boom. There was a lot of talk about the ‘good old days’ on my first contract, which through the luck and skill of my director lasted 6 months longer than the proposed 8 weeks. Since then I have been out of work for a period of 3 months, which was partly due to back injury, followed by 3 months work in the north. At the end of January I had 6 days work, which generally, though I believe it depends on your dole office, the system is not designed to support. * Commercial archaeology is tied into construction, and so has suffered as construction has declined. There is something like over 80% unemployment in our sector. I have specialized, so someone would have to emigrate or die before I get the job I want. The surviving archaeology companies are downsizing, not recruiting. I would like to do a PhD, but because I never met the thresholds for grants, I have too much debt to do so right now. I can now either stay here on the dole, or in a job for which I am untrained, or which requires something like the leaving cert (which is a bit galling after 6 years of university); or I can move to find work in my chosen field. After the jobs expo, I am even considering taking a job in something else just to [get] going, until I find something I want. Fas have told me to retrain in IT as I do have some experience in that line. I could do that at the expense of the Irish government and then emigrate… When I did law, we felt sorry for the computer science students, because everyone had been talking about the .com bubble, now we don’t have enough of them. I also don’t want my parents worrying about me. Most parents have enough of their own worries now without fretting over their adult children. I don’t want to leave the country right now, even though I always envisaged getting my PhD abroad, and I am trying to find work, particularly in the heritage sector. I did live in Germany for a year during my law degree and loved it. Quebec seems similar to the ideal European city, shiny, with good transport infrastructure, free education, safe etc. I live in West Cork and the towns are deserted of people my age. Everyone talks about how depressed the small towns are here, and how it doesn’t seem as bad as when you go to the cities. My sister works in London, and seemingly, you wouldn’t know there is a recession there. The minister for advanced education** etc. in Saskatchewan gave a great talk during the expo, and though I am usually cynical, I thought how nice it would be to have a government made up of intelligent people like him. Far away hills may be green, but anything would be better than what we have here. I have a relative who has spent four years in Australia, working and going to college at night. He loves it there, and was able to visit recently for the first time this year. […] People of my parents age keep telling me they would go if they could. I find that nearly sadder that the youth leaving. A good number of my friends started work just before the end of the boom, they would have finished college in 2006, 2007. They tend to be employed. A few of my law graduate friends have tried to stay in education to wait out the recession, but now are emigrating to the UK. There were unfortunately too many people encouraged into law. Other friends are trying to find a way out. One is in New York on a holiday. He’ll probably come back to collect his clothes and leave. The archaeology sector was supplemented by a lot of Polish and Swedish people in the boom. They are now petering out of the country. Anyway, sorry for the waffley email, I wanted to give you some details in case it didn’t suit your story. I have an appointment with the dentist today, so I won’t be available from about half one till half three or so. I’m not sure if I will be able to speak for a few hours afterwards! Best of luck with the article. *This was based on anecdotal evidence. I have since learned that short-term work can be facilitated. ***Honourable Rob Norris, seriously: look at this guy. The spectacles have been updated. I got a filling. I was fine after a few hours. Thanks for asking. … to West Cork Osteology, a blog for all things osteo. Most of the content will be the latest archaeological and bioarchaeological happenings, as I come across them, on the web. This is mostly to keep me busy, help me keep track of interesting articles and sites, and to spread the osteo word. Maybe sometime in the future, a discussion or two will be encouraged. Enjoy.